2 hours & is worth 40% of your final GCSE grade. 2D & 3D drawing methods – orthographic – perspective – isometric. Aesthetics, anthropometrics and ergonomics, batch production, blow moulding, CAD/CAM, CNC, evaluation, flowcharts, function, injection moulding, production planning, prototype, modelling, research, situation, specification, testing and trialling, vacuum forming. Normally a one-word or two-word answer, at the very most a sentence. eg Give the name of the symbol below. This will result in only one correct answer. The mark scheme lists the single answer with the mark allocation being a single mark. eg Give two reasons _______________. The mark scheme will give a number of possible reasons. The mark allocation would be 2 x 1 (2answers, 1 mark for each answer). This requires students to give a specific item. Generic answers such as wood or plastic would gain no marks. These type of questions will usually appear at the beginning of the paper or question part and are designing to ease you into the question with a simple statement or short phrase. normally includes justification, reasons or examples. Normally the mark scheme will give a number of key points expected in the answer with a statement such as ‘1 mark for each key point’. This is exactly the same procedure for such instructions as describe, discuss, evaluate etc. These type of questions are asking you to respond in detail to the question. No short phrases will be acceptable here. Instead, you will have to make a valid point and develop/justify it to gain full marks. A higher level of response than GIVE/STATE/NAME. you can gain marks with the use of a clearly labelled sketch. These type of questions are designed to stretch and challenge you. They will always be awarded the most amount of marks because they require you to make a well balanced argument, usually involving both advantages and disadvantages. • Your paper is divided into2 sections. What do you need to take into the exam with you? paper, you will be expected to answer ALL the questions. answer it. Underline key words in the question. This will help you answer them. • Try to write neatly and clearly. • Relax as much as possible and try to think clearly and keep confident. • In a given question, concentrate of what you do know rather than what you don't know. • Use what you know to maximum effect, but remember to ANSWER THE QUESTION. order you answer questions in). This will help to build your confidence and you may find yourself remembering more things. • Sometimes, intense thought whilst answering a question can facilitate understanding. If you find this happening, try to use it to maximum effect. • Keep thinking positive and do the best you can. Just answer as much as you can. • If, after reading a question, you genuinely feel it is ambiguous or too broadly based, state this in the first part of your answer and explain briefly your reason for trying to answer a question in a particular way. The examiner will then have a better chance of empathising with your answer. • Summary notes - short version of main notes. • List of keywords for each topic covered, which can act as "triggers" for other ideas. • Some kind of diagrammatic representation of notes can be helpful. 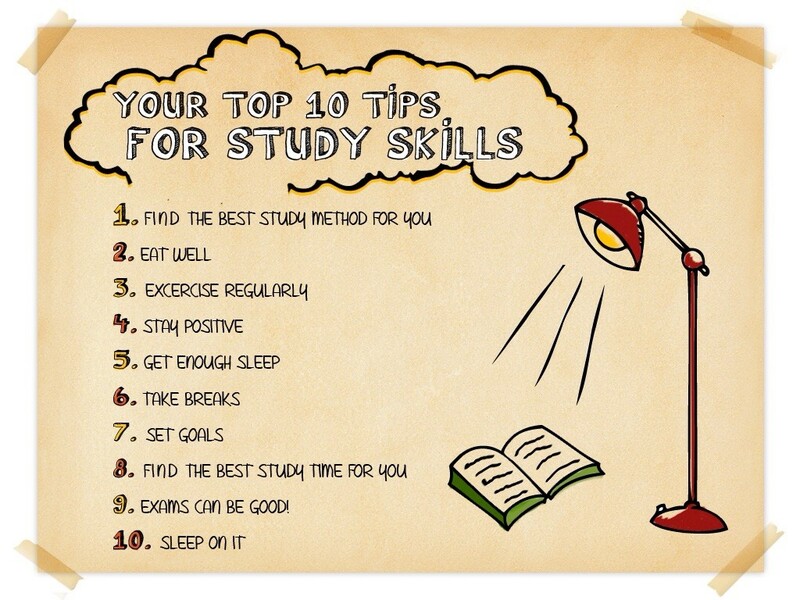 • Revise with a friend - if possible, exchange ideas during revision - this can be very helpful to both people in understanding topics and building confidence. • Questions and Answers - get a friend to ask you specific questions about topics and think up questions to ask your friend. This will test and help to build your own understanding. 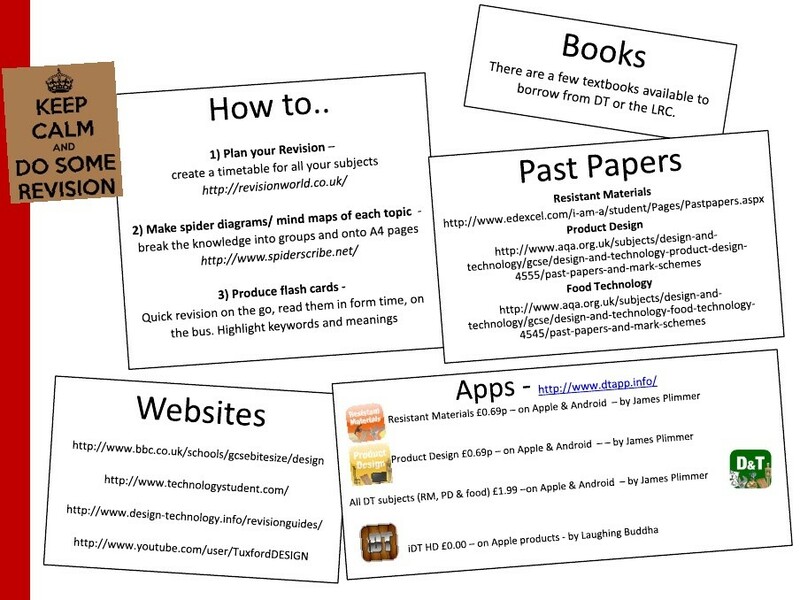 • Make up a set of revision cards - with one main topic per card, each topic listing ideas or information for this topic. You can carry these cards with you and, if you choose, get them out and revise whilst a passenger in a car or on the bus or train, or when queuing somewhere. • If possible, ask your teacher or tutor to revise topics you are unsure about and try to get the tutor to help you to fully understand the topic.